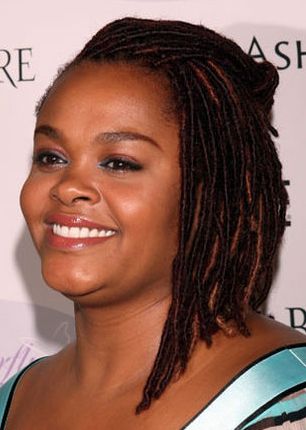 Jill Scott has been one of the pioneers of natural hair looks. Her signature large, curly afro (which became so popular, it was often dubbed the “Jill Scott” in the look books of some salons) was just one of the many regal ‘dos the performer made famous. Braids embellished with beads, dreadlock extensions, and even beautiful head wraps were among the large array of Scott’s Afrocentric coiffure. So you can imagine the unrest that ensued in some circles when Scott turned to straight styles, like the one you see above, for the last two years. “Nevertheless, I know a lot of naturals are happy to see her rocking the curls again,” the popular black hair care outlet relates. Clearly refusing to style her hair to please others, Scott is certainly showcasing her aesthetic flexibility by jumping from long and straight locks to short and natural on a whim. Take a look at the new Jill Scott, and let us know: do you approve of her new “TWA”? The post Jill Scott hairstyle: The new soul superstar goes for the big chop with short natural afro appeared first on theGrio.